This competition was part of a joint initiative by the Concordia University Chair of Integrated Design, Ecology, and Sustainability for the Built Environment (ideas-be) and the Chaire de recherche sur les concours et les pratiques contemporaines en architecture de l'Université de Montréal to stimulate debate on the importance of public space for heightening awareness to climate change issues and to mobilize the creativity of young designers of the built environment. This 2017 edition was done in collaboration with Conseil régional de l'environnement de Montréal(CRE-Montreal), an organization that focuses on the environmental protection and the promotion of sustainable development for the island of Montreal. The competition asked to reflect on the reinvigoration of public spaces around four bus stops situated on Sherbrooke Street East in Montreal. This competition was open to students and graduates of less than 5 years in the fields of architecture, design, landscape and urban design. The chosen slogan, "MORE THAN WAITING FOR THE BUS" invites designers to reflect on contemporary approaches that can help invigorate these spaces in interactive, poetic, critical and meaningful ways: from solely utilitarian to more multi-purposed spaces surrounding bus stops. In addition, and contrary to common approaches that consider bus stops to be objects placed indifferently on urban spaces, the organizers seek, with this series of competitions, to constitute a Guide to Best Practices which can be a summary of the principles submitted by each competing team. 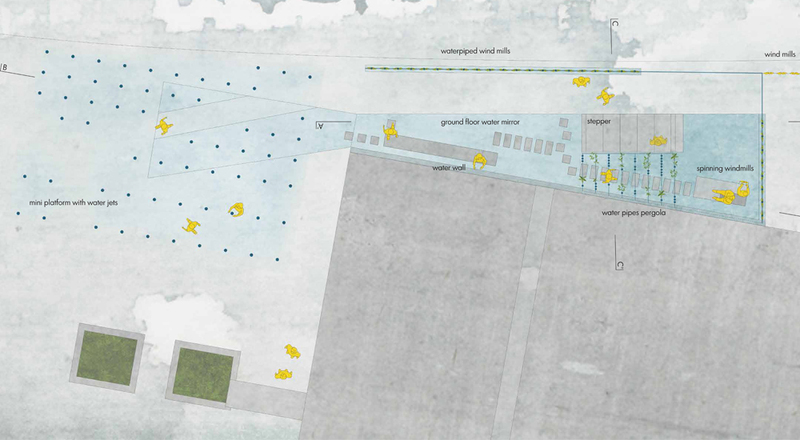 Some of the submitted projects were favored by several jury members, but their lack of "environmental design" principles that could be generalized to other sites became a disadvantage. A proposal that is conceivable regardless of the season. The idea of an urban terrarium, which can appear as an element of urban place-marker disconnected from its context, is nevertheless connected to the metro station in an astute way. The information exchange regarding the reduction of GHG'sthrough the use of the bus is done in a ludic manner and will therefore appeal to all ages.